We have been led to believe that anxiety takes years to overcome. After years of treating clients, we know that isn’t true. It is possible to let go of anxiety without medication and without expensive and long term therapy. Suffering from anxiety is not a pleasant experience and it can stop you living life to the fullest. Do you sometimes feel anxious about social events? Feel a sense of ‘dread’ and don’t know why? Do you have teenagers who are anxious about school and friendships? Feel panic in certain situations? Do you find yourself worrying unnecessarily? 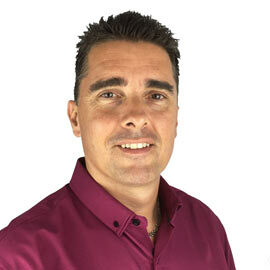 Do you want to feel calm, confident and in control? There is a lot of research in the area of psycho-neuro-immunology, which demonstrates that holding on to negative emotions like anxiety, adversely affects your health. Our thoughts affect our emotional state which in turn affects our physiology and our behaviour. Understanding the mind body connection in relation to anxiety enables us to influence the way we think, control our emotions and achieve more positive outcomes. ‘Overcome Anxiety’ is an easy to follow on-line program, that is available to you anywhere at any time and shares proven techniques to teach you how to beat anxiety so you can stop the ‘worry cycle’, let go of your fears and start living again. Anxiety has mental, emotional and physical components. 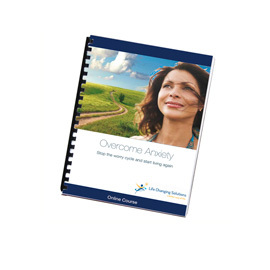 ‘Overcome Anxiety’ covers all three components giving you a holistic approach to overcoming anxiety. ‘Overcome Anxiety’ has been designed specifically to enable you how to let go of those feelings of nervousness, uncertainty, doubt and panic so you can feel calm, confident and happy. Whether you are anxious about life in general, have a fear of flying or speaking in public, then this program will help you change that. 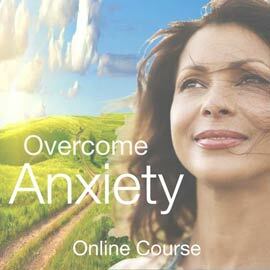 You will also receive the bonus ‘Overcome Anxiety with Hypnosis’ introductory video and audio track. 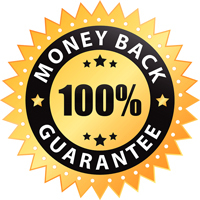 We believe so strongly in this ‘Overcome Anxiety’ program that we are offering a 1 year money back guarantee. The techniques you will learn in this program are proven to work and have been used by hundreds of our clients and students. 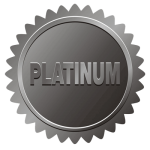 We are so sure you’ll be happy with your Overcome Anxiety online program that we offer a “1 Year Money-Back Guarantee”. If for any reason you are not completely satisfied, drop us a note describing why you are disappointed to enquiries@lifechangingsolutions.com.au and we will refund your money. The videos are presented by Deborah Bispham, Founder Life Changing Solutions, NLP Trainer, Master Practitioner and Hypnotherapist with guest appearances by Dr Jonathan Bispham DO (Osteopath), NLP Trainer, Master Practitioner and Hypnotherapist. As a previous anxiety sufferer and consummate ‘worrier’, Deborah shares with you proven powerful techniques that are easily to apply from the moment you learn them. 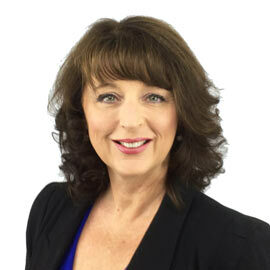 Deborah will guide you through each module, each technique and each task. Dr Jonathan Bispham DO (Osteopath), shares with you the neuro science behind fear and anxiety and teaches you the mind body connection so you can control your physiology easily. Together Deborah and Jonathan have helped thousands of people overcome anxiety. Change your life – starting now!